When studying in Atlanta Georgia, there are times when TALK students may want to get out and view the wonders of this large city without it costing a fortune. There are many inexpensive Atlanta tourism guide options for students to see and visit while on a budget, and can help them clear their head away from their demanding study sessions. 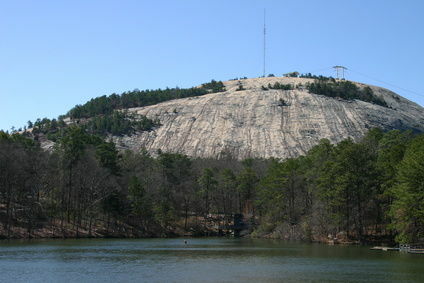 Stone Mountain Park offers a great day away hiking and exploring the wilderness. The park is spread across some 3,200 acres and is one of the most-visited attractions in Georgia. 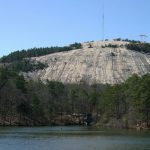 Stone Mountain Park was built around the world’s largest exposed granite piece and is a great place to visit for Memorial Day Weekend, Spring Break Fun, Fantastic Fourth Celebrations, Pumpkin Festival, Yellow Daisy Festival and Stone Mountain Christmas events. TALK students can visit the wildlife preserve, the scenic railroad, Sky Hike, Geyser Towers, Summit Skyride, The Great Barn, Ride the Ducks, and the Farmyard amongst many others. The Old Fourth Ward Skate Park is a free and fun place to visit for those looking to skate or just have some fun. This skate park is open from sunrise to 11pm. This skate park was Atlanta’s first skate park and is made for skating enthusiasts of all skill levels. On the grounds there are multi-use athletic fields, playgrounds as well as access to the Atlanta Beltline Eastside Trail. 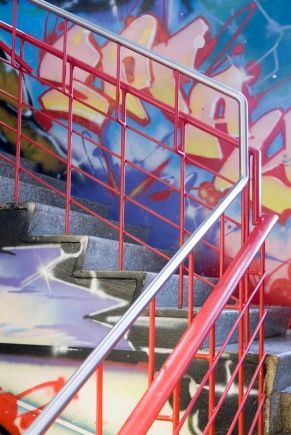 This skate park is a great place for TALK students to visit – even if you don’t skate. Living Walls is a public display of artistic creativity using some of the largest canvases available around the city. The walls of Atlanta city feature some amazing public mural art. There are also workshops, lectures, gallery exhibitions, and pop-up shops. As you walk and view the large wall art work, it encourages you to experience the beauty of art without it hanging in a museum. Living Walls art helps to brighten up ugly or dull parts of the city, and takes you on a journey like no other. 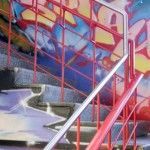 Walking through the city is free and it is exciting to turn a corner to find new and impressive artworks.